Corrective Clinical Skin Care, Dermaplaning, Chemical Peels, Hyperpigmenation, Melasma, Rosacea, Sensitive, and Environmentally Challenged Skin. “After struggling with cystic acne and taking Accutane myself years ago, and trying everything, I can really sympathize and understand how frustrating problem skin can be. I enjoy educating my clients about using the right products for their skin and witnessing a transformation.” Heather is a graduate of Arizona State University with a B.A. in Psychology and has worked in social services and in the medical field. Her interest in aesthetics and ingredients inspired her to go back to school. Heather has been an aesthetician for nine years, and has experience in medical aesthetics, salons, and day spas. Skin care is constantly evolving, and Heather attends education classes every few months to stay abreast of the latest advanced products, trends, and treatments to offer her clients. 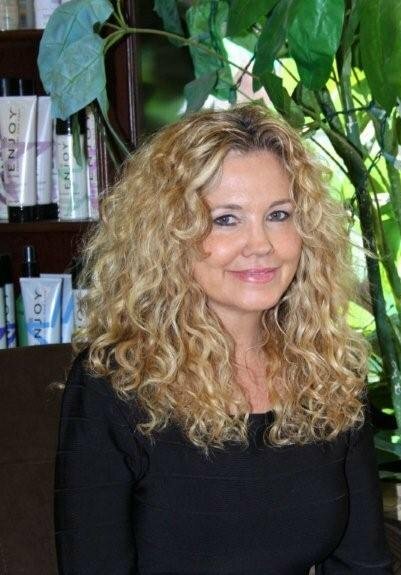 Heather’s product training includes: Tecniche Treatments and Products( All Paraben and Sulfate free), Circadia by Dr. Pugliese(Advanced Professional Skincare), PCA Skin, Image, Janssen, NuFace Trinity Microcurrent with LED, Advanced Mineral Makeup, GloMineral Makeup. Certified in Microdermabrasion, Dermaplaning, LamProbe, and Certified Medical Laser Technician. Heather’s Skin Care Tips: Home care is just as important for maintaining beautiful and youthful skin. Everyone needs a good cleanser, exfoliation, moisturizer and broad spectrum UVA and UVB sunscreen. Serums especially vitamin C used in conjunction with a skin lightener can provide excellent results in reducing pigmentation and redness. A retinol is also important to use to rejuvenate the skin and for anti aging. She loves peptide smoothing serums as well for an immediate tightening and lifting effect of the skin. GOOD SKIN IS AN APPOINTMENT AWAY!